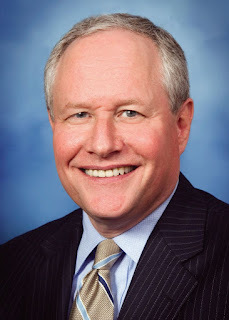 As it is my belief that the two major parties are about to nominate two people that are totally unfit to be commander-in-chief of the United States, I am praying that the editor of The Weekly Standard, Bill Kristol, and those involved with him, are successful in recruiting a legitimate third party option for me to vote on the presidential line. And for those Trump supporters who are saying all this is doing is electing Hillary Clinton president of the United States, you must know that there are millions [I believe] like me who will not vote on the presidential line if Hillary Clinton and Donald Trump are the only two choices...so, with or without this 3rd party option, it will not change the fact that we will not be voting for Donald Trump or Hillary Clinton. I respect those of you life long Republicans who will be voting for Donald Trump and will not criticize you, so, I hope you respect my choice. And as a conservative Republican who has voted for, and supported, and donated money to the Republican candidate for the last 40+ years, I do not want to be lectured to by those Trump supporters, Donald Trump is supposedly getting, who have never in their life voted for or donated money to the Republican Party and who tell me I must vote for Trump or I am not a good Republican. I really feel like this third party option will be a benefit for the Republican Party as it will bring out to vote many people, who may have stayed home, and they will be able to vote for the GOP down ballot. I will come out and vote for all the GOP down ballot even though I will leave the presidential line open, but I realize some people who will not vote for Trump like me, may just stay home. As a Republican who dearly wants to save the Senate and the House in Republican hands, this is another reason I am praying that Bill Kristol is successful. Bill was on the Hugh Hewitt show on Friday morning, May 20, 2016 and he discussed this third party option with Hugh. Thanks to the podcast from the Hughniverse [and Hugh's producer Duane Patterson who puts together the podcasts] that I hope you will consider subscribing to, here is that interesting conversation. Thank you Bill Kristol and good luck!